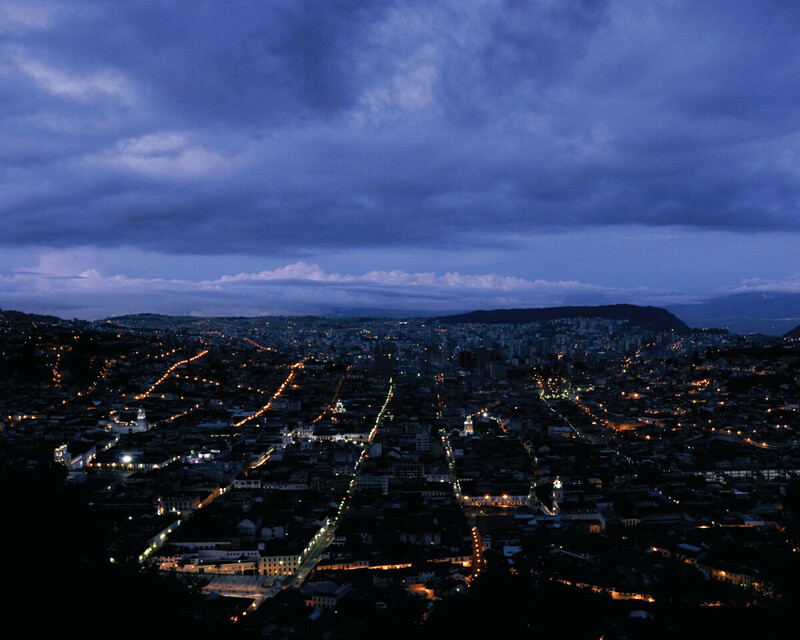 A Line in the Andes — a one year applied research project developed through the office of sponsored research at Harvard University — examines the transformative role of the first underground metro line currently being implemented in the city of Quito (Ecuador). 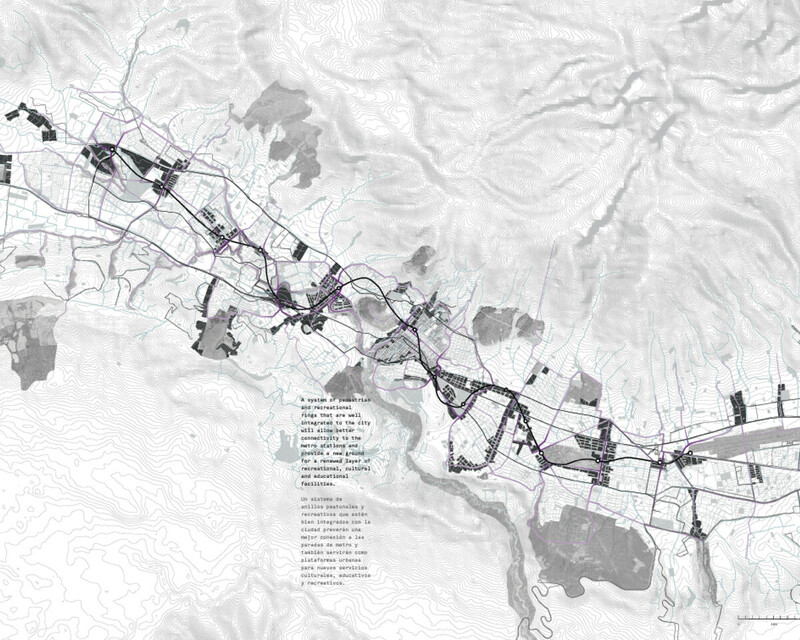 Through archival material, original drawings, and text, this project frames the metro project within the city’s historic and current urban form, visualizing the urban potential of Quito as a contemporary valley-city. 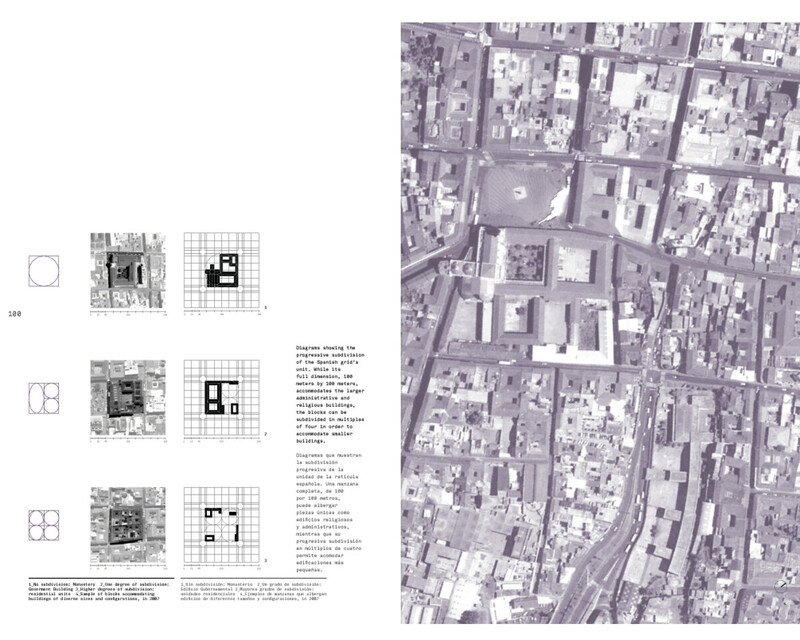 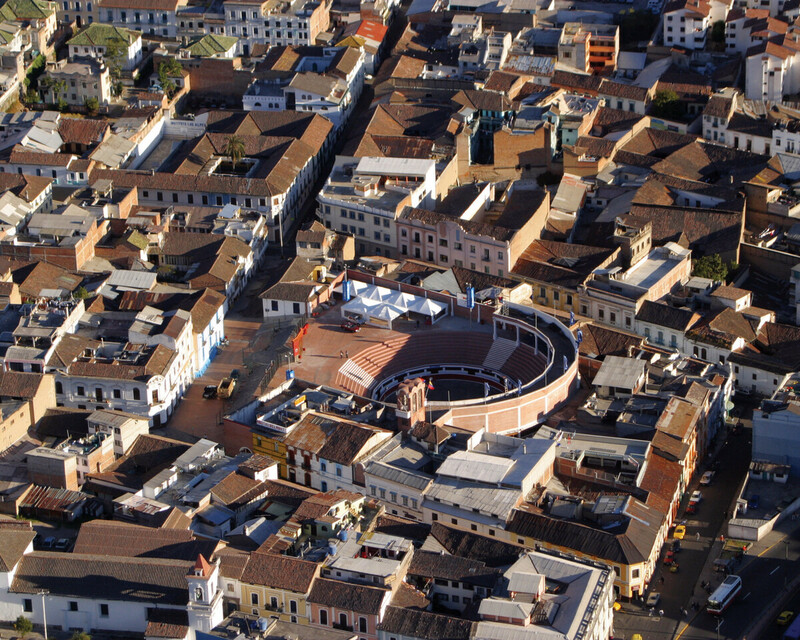 Unit 1 examines the current typological and morphological structure of Quito’s historic core, designated the first world heritage city by UNESCO in 1978. 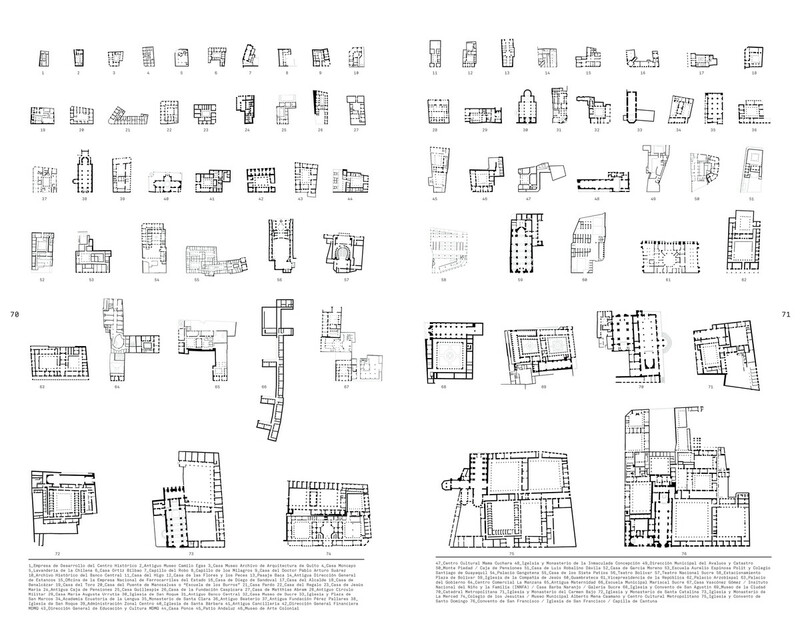 By drawing a careful plan of the historic core, the study reveals the current location of monumental buildings in relation to the broader organization of the urban blocks. 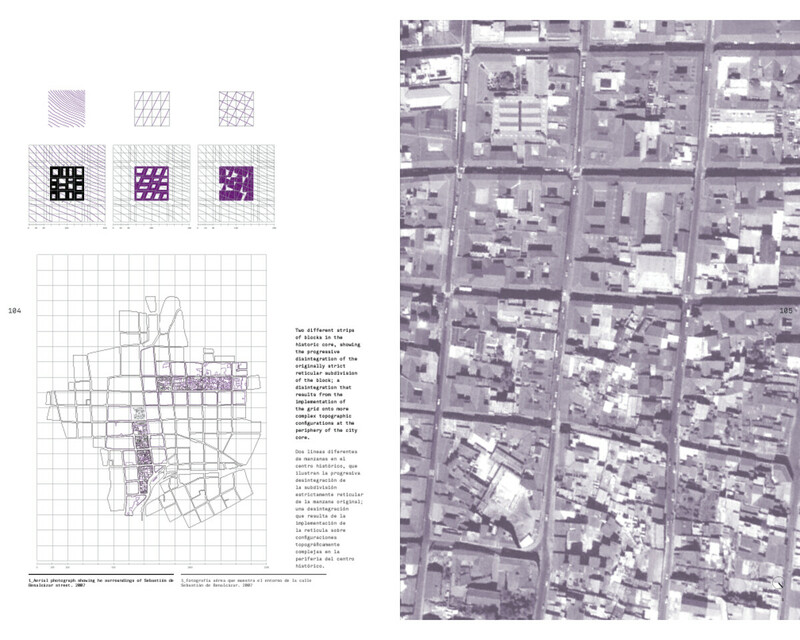 Unit 2 explores the foundational project of the Spanish American urban grid, its implementation in Quito, and its evolution over time. 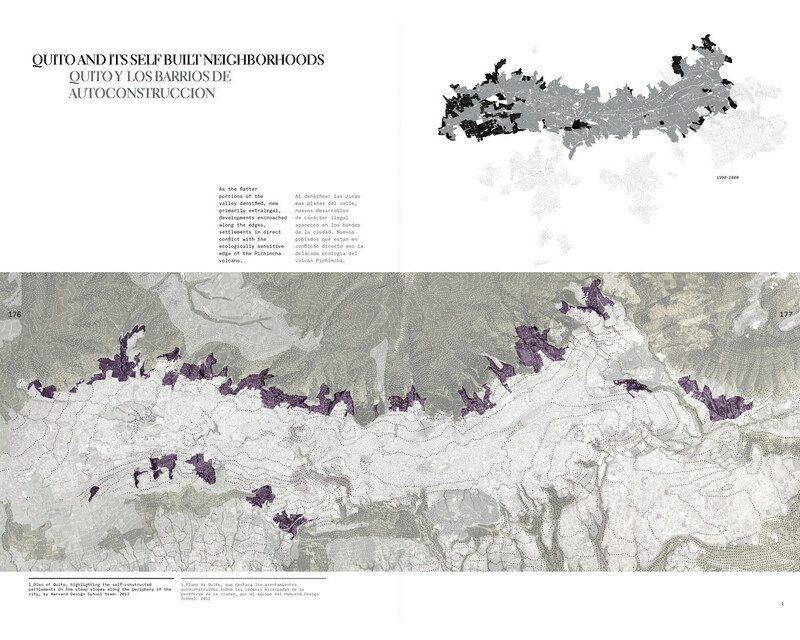 Unit 3 explains the urban evolution of the linear compact capital along a perched valley. 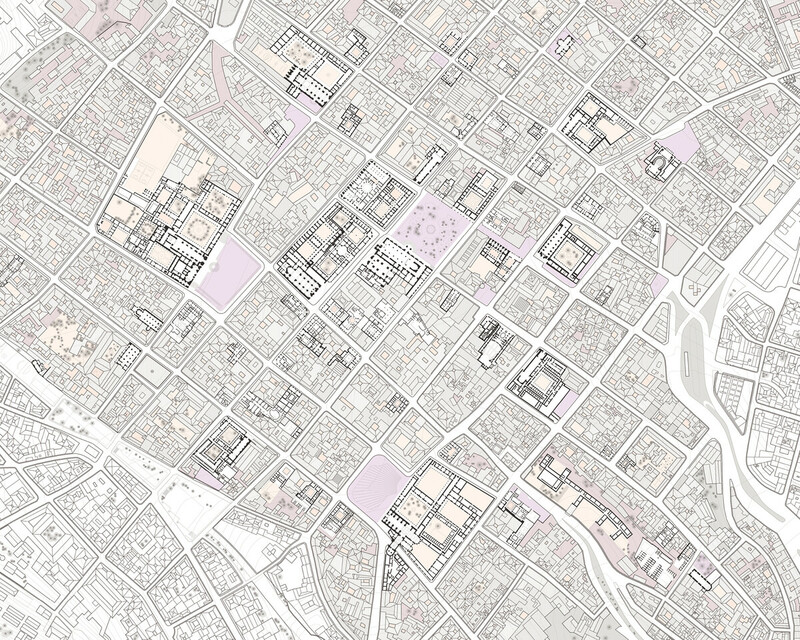 It specifically focuses on the gradual extension of avenues as the main anchor for linear urban development, and the diversity of mixed use densities the city’s mesh accommodates. 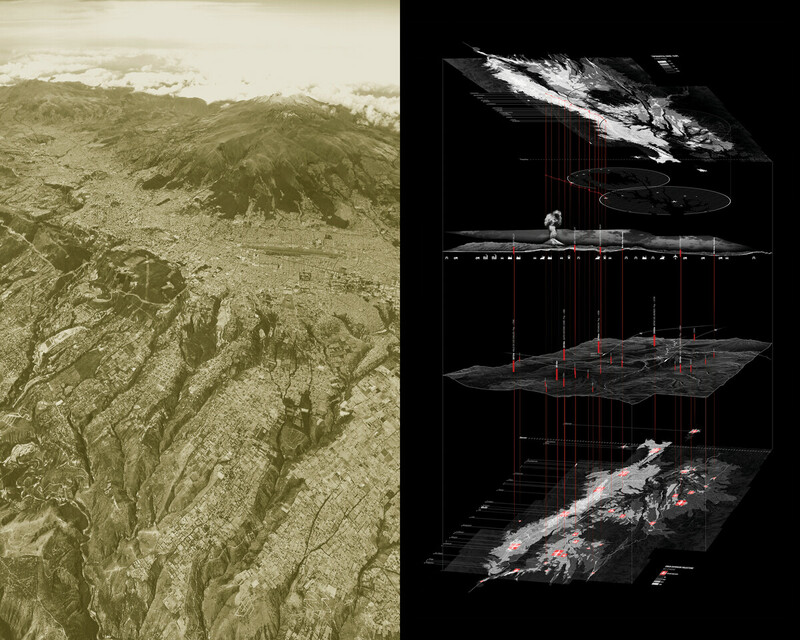 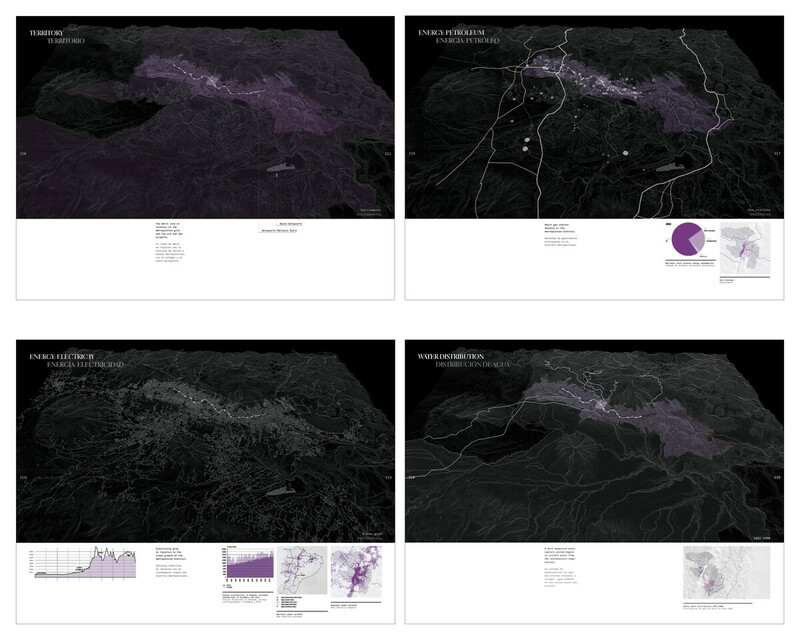 Unit 4 provides a broader regional view of Quito in relation to the larger valley where it is sites. 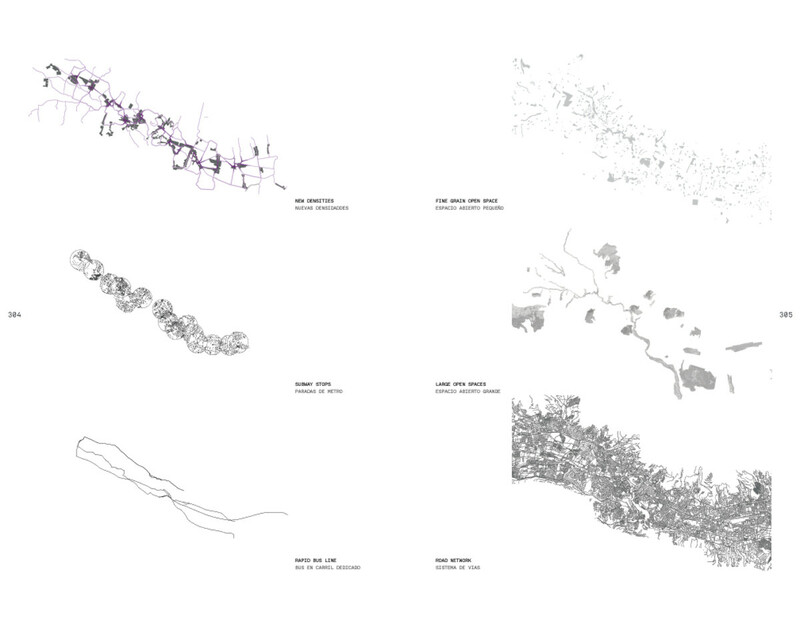 The research explores the larger environmental and operative footprint of the city looking at issues of energy, water, major mobility corridors, etc. 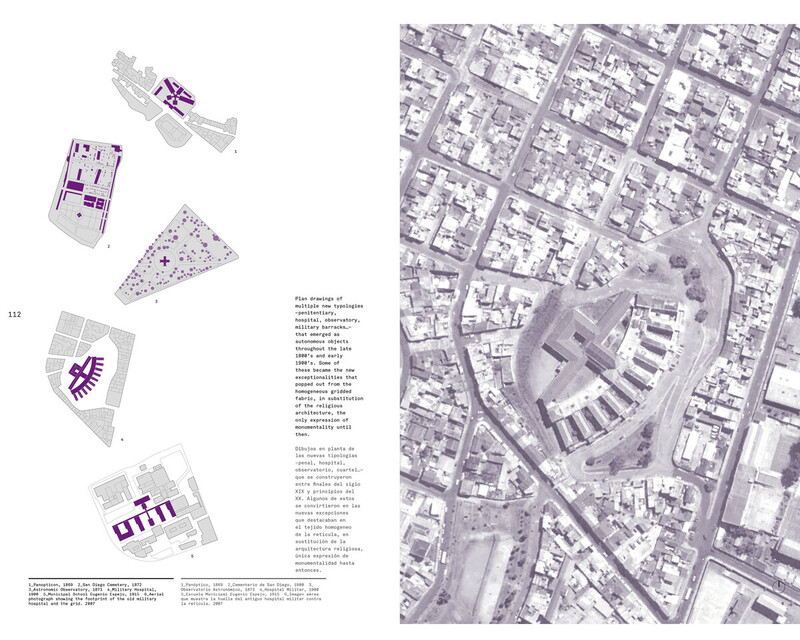 Unit 5 proposes a larger urbanistic strategy alligened with the implemenation of the underground metro. 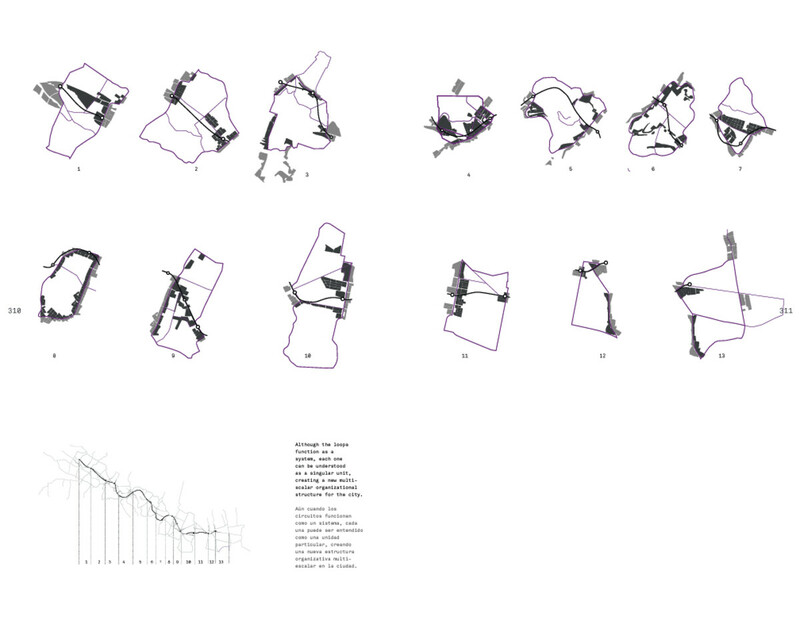 13 loops, always connected to 2 metro stops serves as an underlying structure for the introduction of new public spaces and facilities, new educational hubs, and recreational centers, in addition to better linking adjacent neighborhoods to the station. 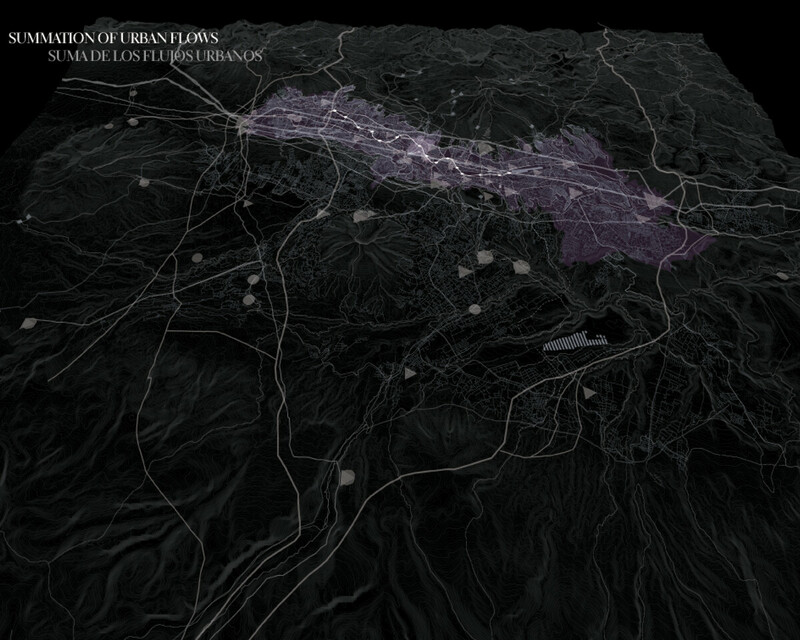 The overlay of the rings also interacts with many existing urban systems including the bus rapid transit network, large parks, major urban centralities, and the southern portion of the Machángara River. 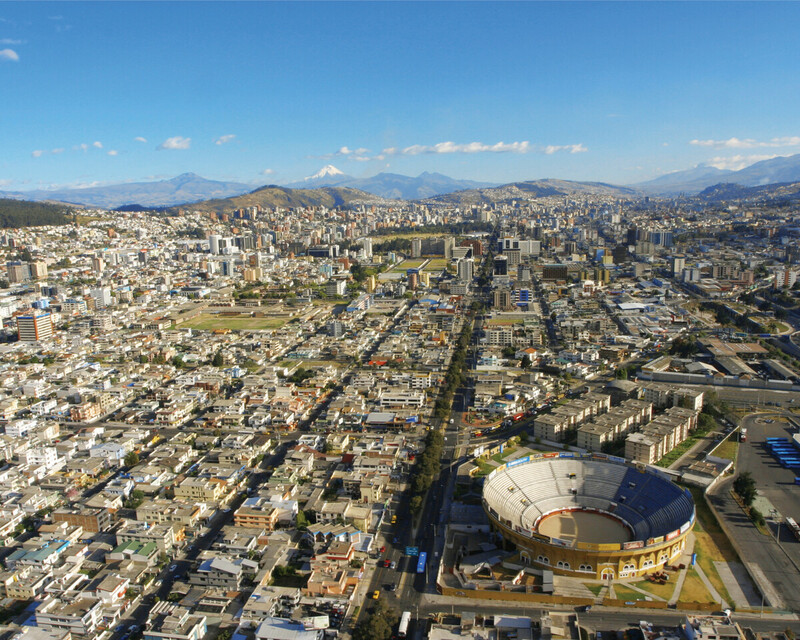 The rings not only provide a new scale of collective space for the city, but also serve as a new design unit through which additional urban interventions can be choreographed. 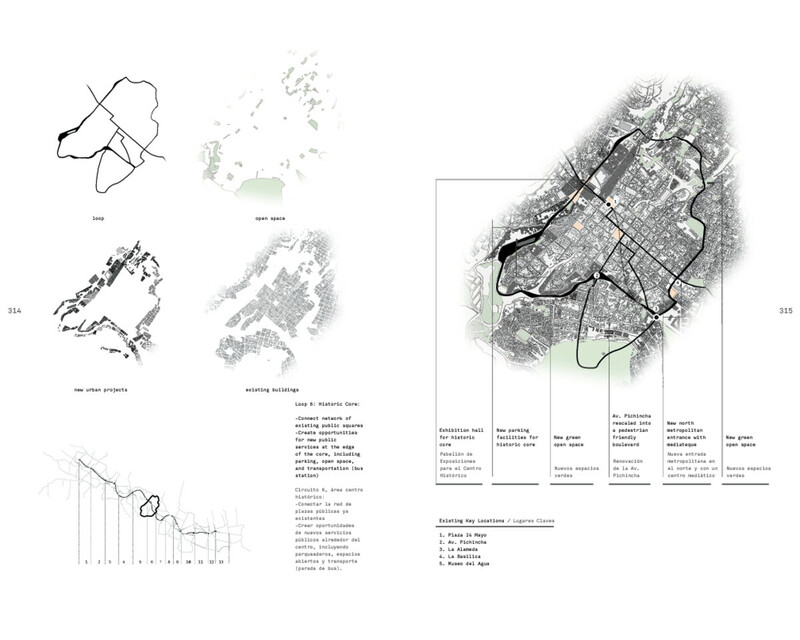 Ultimately, the proposed rings serve as an urban project that synthesizes existing and new urban systems in the city. 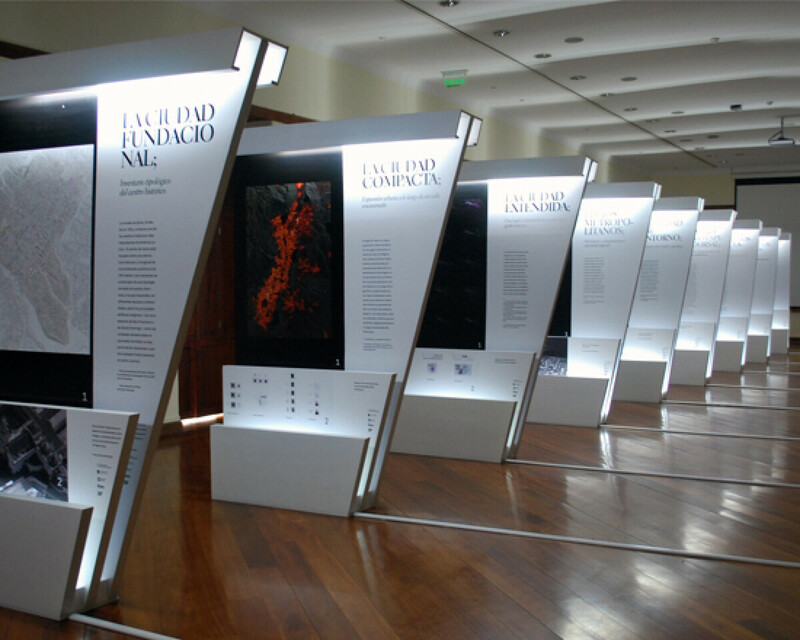 The material was documented in a book and and exhibition that has travelled nationally and internationally.